So far the Nintendo Switch has been shown off in its standard grey and multi-colored variants. But there’s a pure black Switch console as well, and it looks awesome. The black Nintendo Switch Joy-Con controllers go really well with the console. 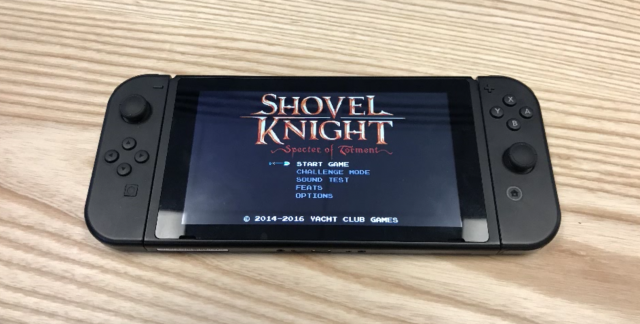 The setup was revealed during a recent interview with Shovel Knight developer Yacht Club Games. 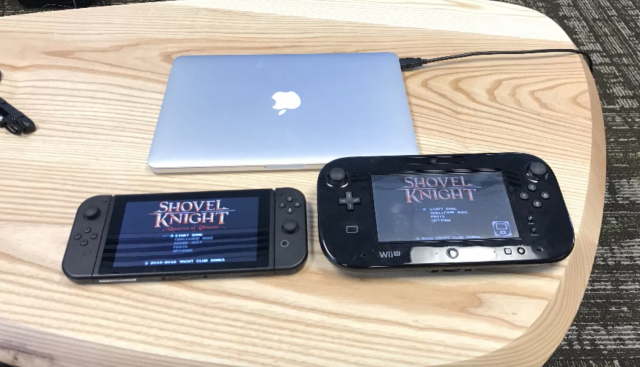 So far it appears that the black Switch is only available to developers as part of their dev kits, but we really hope that Nintendo releases this version to the public. The Switch tablet is already black, and the addition of matching Joy-Con controllers really gives the unit a sleek look. You can check out the matte black Nintendo Switch below. Do you prefer this one over the standard grey version? Let us know your thoughts in the comments section!